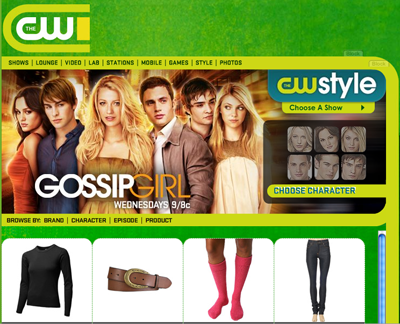 Gossip Girls, one of the many network shows I won’t be watching, makes the characters’ clothes available through the series’ website. Featured designers include Coach, Ralph Lauren, Valentino, Marc Jacobs, Jean Paul Gaultier. And for those who can’t afford couture designers, there are goodies from H&M. They also give tips on how to put the outfits together. That is a very cool idea. But is it even affordable? Or is it going to be only available to the rich and famous? Excellent blog this http://www.whatsnextblog.com well done and I am really pleased to discover : this it’s just what I needed to know.